Get the professional-quality video security system you need to protect what you value most without having to pay for installation. 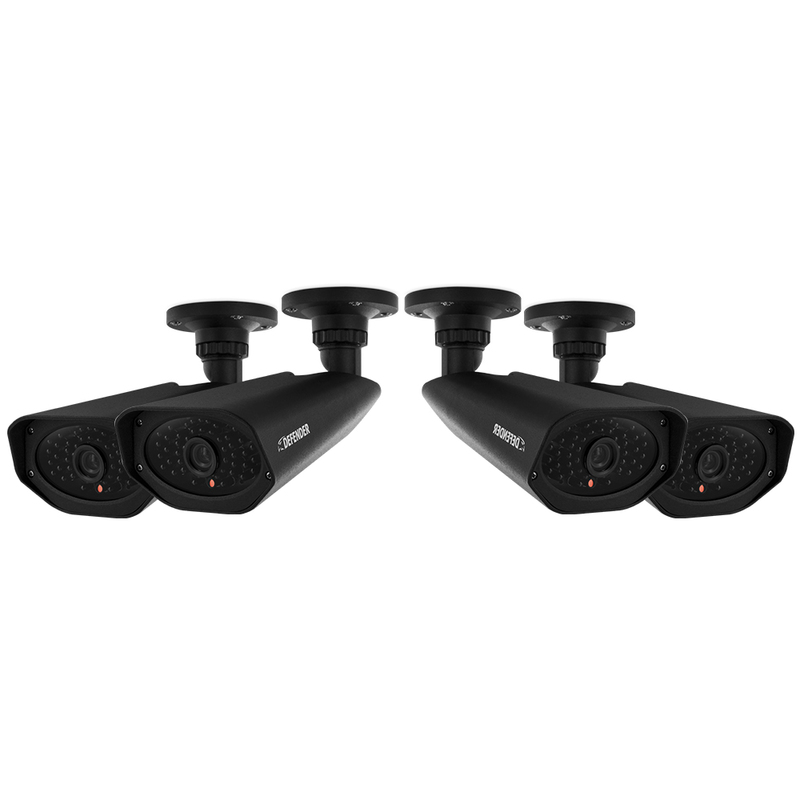 These cameras are built to last with heavy duty, anti-vandal mounting hardware and anodized aluminum casing. Perfect for monitoring your home or business! View your video feeds live, receive instant email alerts and watch any previously recorded footage from anywhere in the world with an internet connection on your smartphone, tablet or computer. 800TVL resolution and an IR cut filter enhances color and detail for smooth, finely detailed live feed or pre-recorded video. With 34% more surface visibility than standard security cameras, 960H technology lets you watch and record video in resolutions as high as 960 x 480. You will have access to a detailed record of all activity happening on your property. Record continuously, only when motion is detected, or during specific times of the day using a customizable 24 hour schedule. 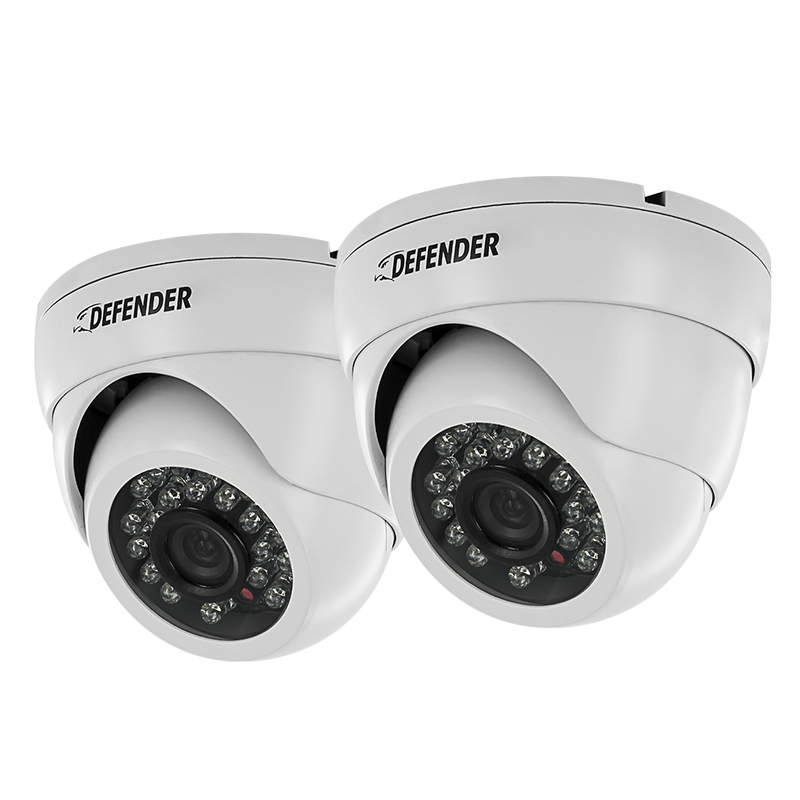 Defender PRO bullet cameras have 48 infrared LEDs that let you view up to 150ft away and dome cameras have 24 LEDs for viewing up to 75ft in darkness. Record in hail, rain or snow. Anodized aluminum casing gives the bullet and dome cameras full protection from the elements. Heavy duty vandal-resistant mounts allow you to securely affix your camera to almost any indoor or outdoor surface! 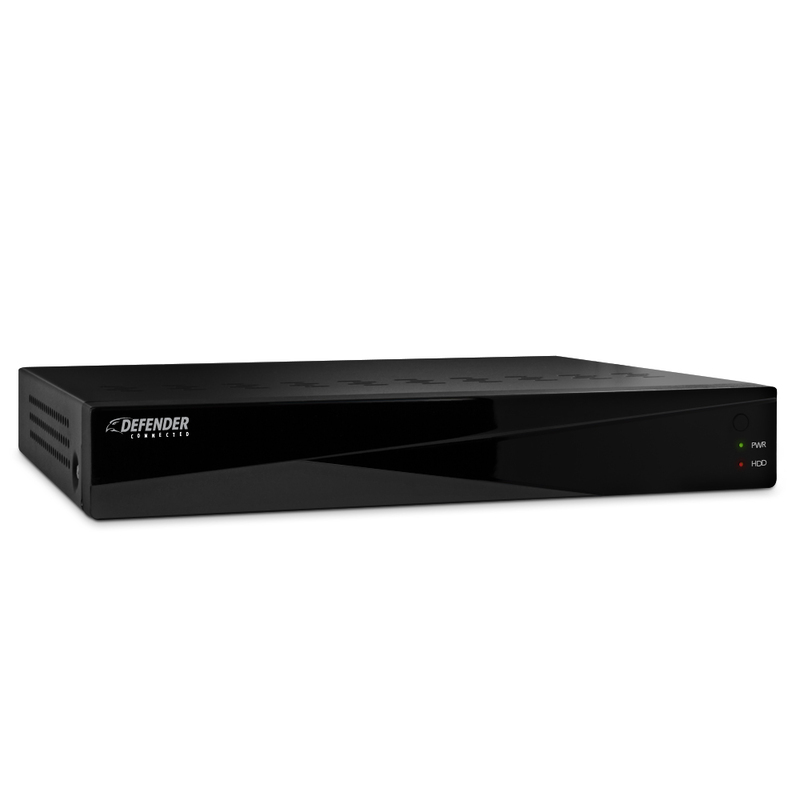 Connect your DVR to any television or monitor with HDMI, VGA or RCA connections and watch your live or recorded video on any screen size! These cameras come equipped with 65’ of fire-rated FT4 cabling. This in-wall wiring will meet regional building codes.